It's been a couple months, so naturally, it's time for another Guitar Hero release. Following up the surprisingly great Guitar Hero 5 is Guitar Hero Van Halen. Van Halen is a fantastic band, with truly talented members; no one would argue that they aren't one of the most important rock bands of all time. But how does this translate into video game form? Is Guitar Hero Van Halen worth buying, or even playing? These are tougher questions to answer. Usually, to begin a review, I like to talk about what new features the game brings to the genre or series. Unfortunately, for Guitar Hero Van Halen, there is nothing new whatsoever, other than the song list. In fact, Van Halen is a step backward, and is missing many of the features that made predecessor Guitar Hero 5 so great. There is no drop in/drop out play, you cannot mix and match instruments, challenges are absent, and pretty much every innovation from GH 5 is gone. 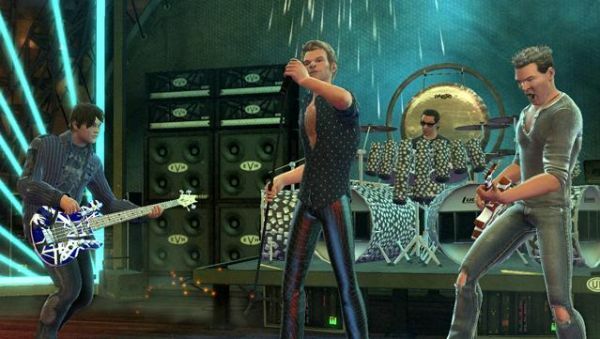 The game uses the same basic engine as Guitar Hero Metallica and Guitar Hero Smash Hits. If you are like me and were starting to come back around to the Guitar Hero series due to 5's success, you will be sorely disappointed by Guitar Hero Van Halen. Let's go back to the song list for a moment. There is a shockingly small number of songs in Guitar Hero Van Halen. 25 songs are from Van Halen themselves, including three guitar solos. Nineteen are by "guest acts", rounding the full number to a shamefully low 44. The "guest acts" were apparently chosen by Eddie's son, Wolfgang Van Halen, the current bassist for the band. (More on this later.) I'm not sure exactly what process young Wolfgang used to select these songs, but it must have been as thoughtful as pushing the shuffle button on his iPod. There are some good bands in the list, but few are very, for lack of a better term, "Van Halen-y". The Foo Fighters, Jimmy Eat World, Tenacious D, and Lenny Kravitz are good acts, but do they really fit in with Van Halen? And who on earth are Yellowcard and Alter Bridge? I can't believe that the type of person who would be interested in Guitar Hero Van Halen is going to know who these latter two bands are. The developers should have stepped in and suggested a few more appropriate bands, perhaps some hair metal and anthem rock, to fill in the gaps. Overall, the song list is easily the worst of any music game this year. But hey, it's called Guitar Hero Van Halen, so at least the best Van Halen songs are included, right? Well, not exactly. Though the band has been in existence for over thirty years, not a single song released by Van Halen after 1984 is included. In other words, no Sammy Hagar (or *ahem* Gary Cherone) at all. 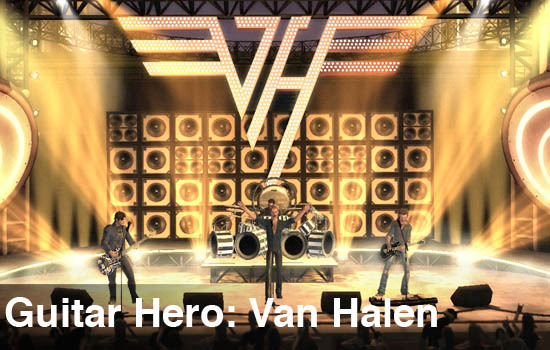 Activision denies that this omission is at the request of the current members of Van Halen. Whether this is true or not, it's still a bad decision. Why use only a portion of the band's catalog, especially when Van Halen was still quite successful and popular after 1984? Admittedly, some of the band's greatest material was in the Roth years. Songs like "Pretty Woman", "Panama", and their biggest hit "Jump" are included in the game, and are a blast to play. But the most popular songs come early in the set list; towards the end, there are few songs that casual Van Halen fans will know. "Dreams", "Why Can't This Be Love", or "Poundcake" could been included, and that's just a few post-1984 examples. Including Hagar era songs would increase song recognizability, and also go a long way towards fixing the lack of content. There's no excuse to do a full retail release band-centric music game and leave out so much of the band's catalog. Page created in 0.5913 seconds.